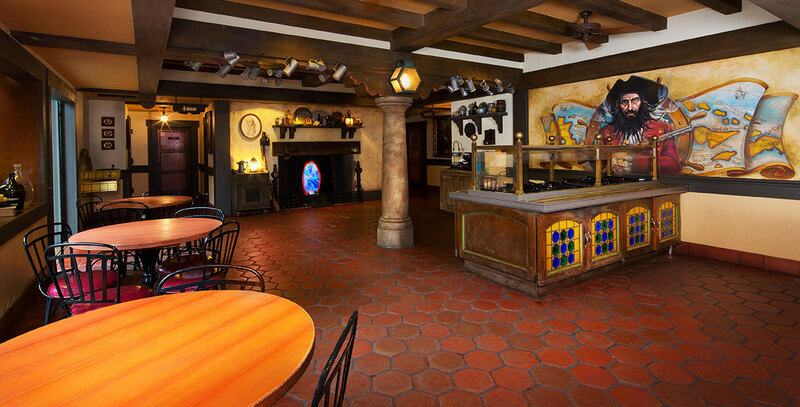 Tortuga Tavern Quick-service restaurant in Magic Kingdom Park at Walt Disney World offering nachos, burritos, and taco salad; opened February 6, 2011. Themed after the Pirates of the Caribbean films. Formerly El Pirata y el Perico Restaurante and El Pirata y el Perico Resfreshments.